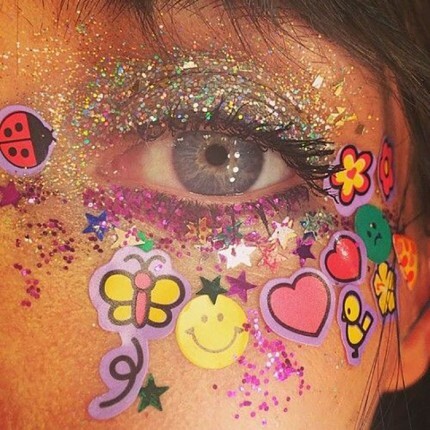 There are some beauty trends which are dead & need to stay buried! From chalky white eyeshadow to orange bronzer slapped all over your face, don’t worry we have all been there! I’m going to throw you back to the 90’s & 00’s with the worst beauty trends to date. What they are, who rocked them and why they should stay in the past. Oops, she did it again! Although the video gives me goose bumps, unfortunately that white eyeshadow does too – but for all the wrong reasons! Can you ever imagine wearing white eyeshadow for a night out?! Girl I’m pretty sure my friends would refuse to let me be seen DEAD with them!… Anyways, we can’t deny that Britney still rocked it! The QWEEN of overplucked brows has got to be Gwen Stefani. I mean, those brows are plucked within an inch of their lives! It even looks like you’d be able to sharpen your eye pencil on those mofos, all I can say is thank god this trend has been and gone! There’s only 1 type of person that can pull off orange bronzer, and that’s an umpa lumpa! Remember those days when you used to smother your brush in orange bronzer and then smear it all over your face? Let’s try and forget that. Not only would you end up with a patchy face but I also suffered the occasional stripey jawline & white neck. NOT a good look! Concealer on lips is just a makeup faux pas. Not only does it make your teeth look yellow (no matter how white they are), it does not work on anyone… not even JLo. Pamela Anderson, take a bow. There is only 1 person who will ever take home the award for heavily lined lipliner and light lipstick, and that person is you. As you can see in the picture above they are also badly overdrawn. Don’t worry Pammy – we can forgive you! There’s nothing worse than a badly blended smokey eye and unfortunately for Christina, she sported this look a number of times back in the day! Last but not least, the stripey highlighted hair look. What were we thinking when we used to go to the hairdressers and think the chunkier the better!